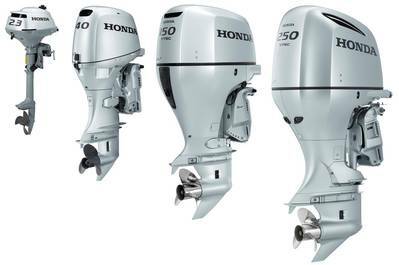 Honda will again have a strong presence at Australia's Sanctuary Cove International Boat Show (SCIBS) this year. Honda Australia marine manager Robert Johnson said he was expecting another good show. “Although Sanctuary Cove is primarily a ‘big boat’ show, it’s always been a positive show for Honda,” Mr Johnson said. “Owners and prospective owners of luxury vessels are discerning people who demand quality, which is why Honda is the outboard brand of choice for their tenders. “As motor yachts get bigger, so do the tenders to these vessels and we’ve noted a marked increase in enquiry in our high-horsepower range at this show over the past few years. Honda’s BF250 is the flagship of its V6 range and is destined to attract plenty of attention at the show. The BF250 combines a 3.6L V6 EFI engine with the world’s first direct air induction system in an outboard – designed to reduce intake air temperature and increase air volume to the engine – to deliver outstanding overall performance and best-in-class fuel economy. Beneath its distinct, angular and streamlined cowl, the BF250 incorporates exclusive Honda technologies including BLAST – advanced ignition timing control system that significantly improves hole-shot performance; ECOmo – sophisticated lean burn fuel control system, which contributes to the engine’s excellent fuel economy; and VTEC – variable valve timing technology to deliver incredible power. Combining the performance, environmental, reliability and durability characteristics for which Honda is renowned, the BF250 is also backed by Honda’s five-year warranty.